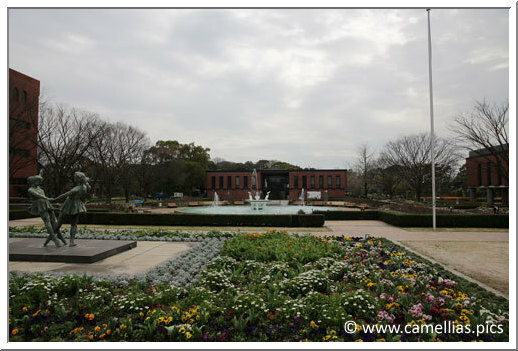 Kurume is the second stage of our trip in Japan. 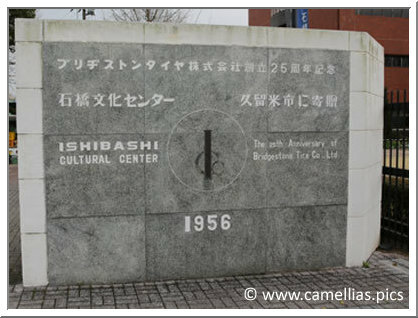 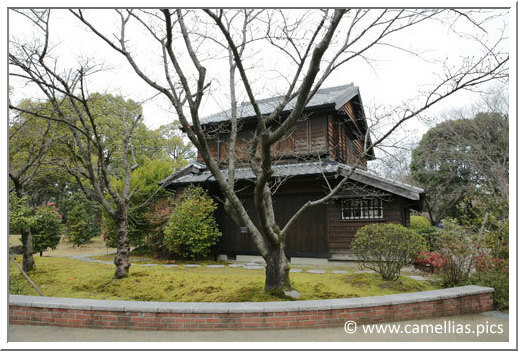 We started our visits by the Ishibashi Cultural Center. 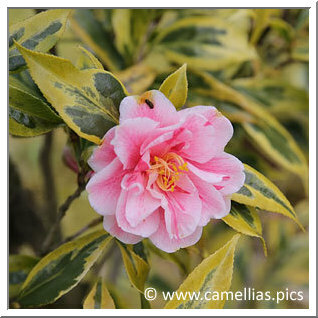 There is a very rich collection of 2 000 camellias, being 300 cultivars and species. 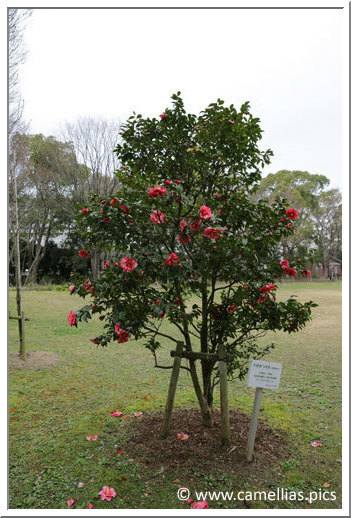 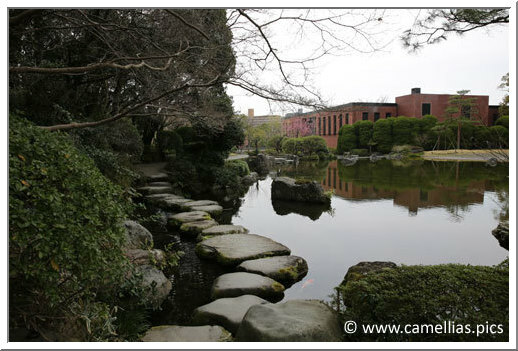 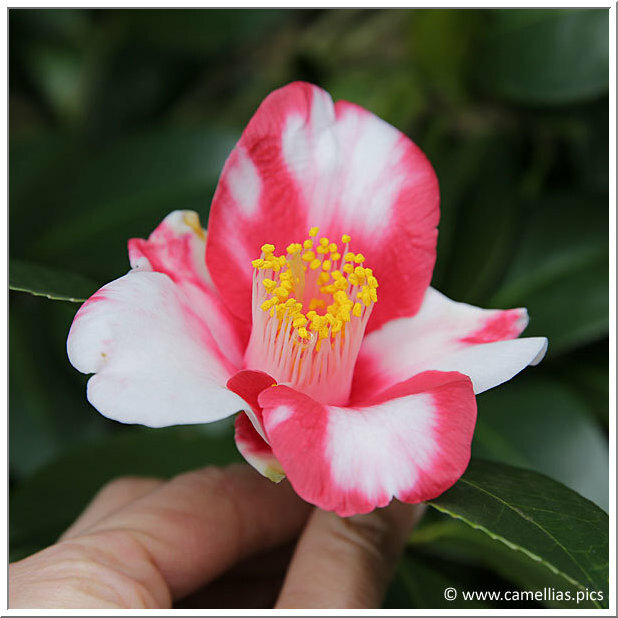 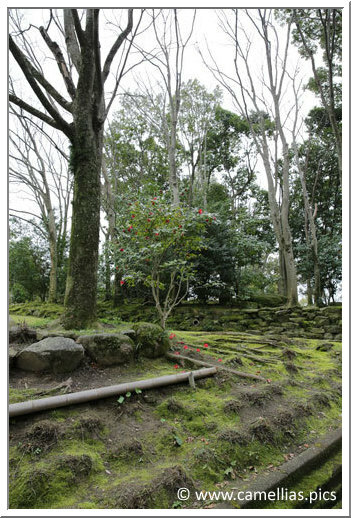 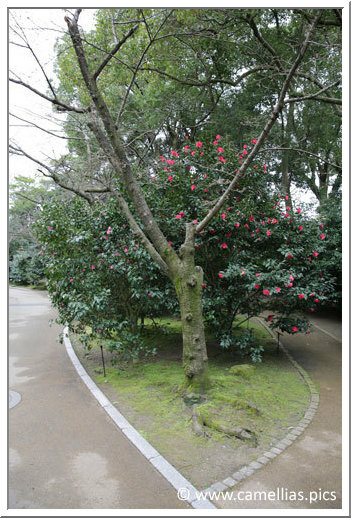 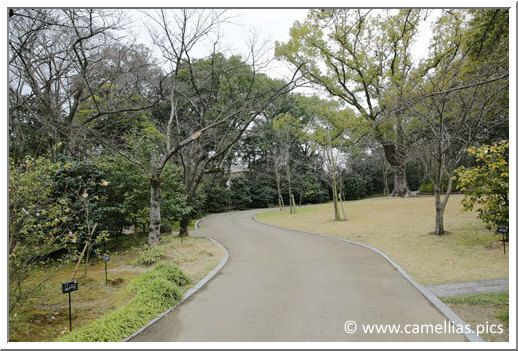 There are also 110 camellias originated in Kurume. 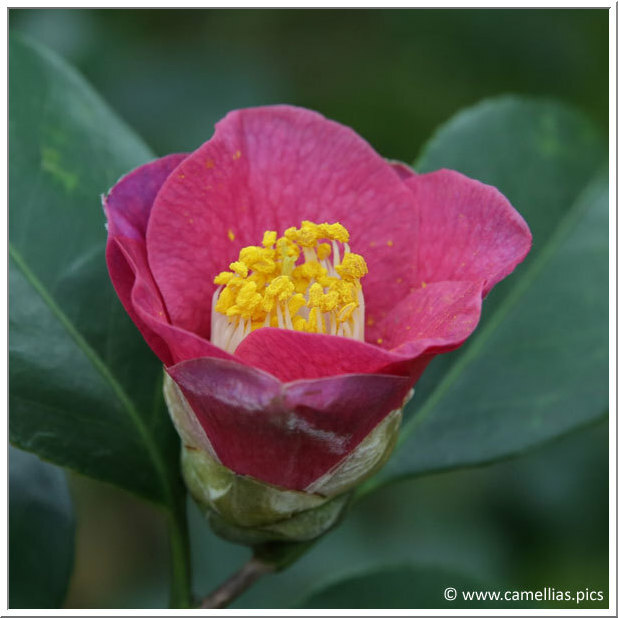 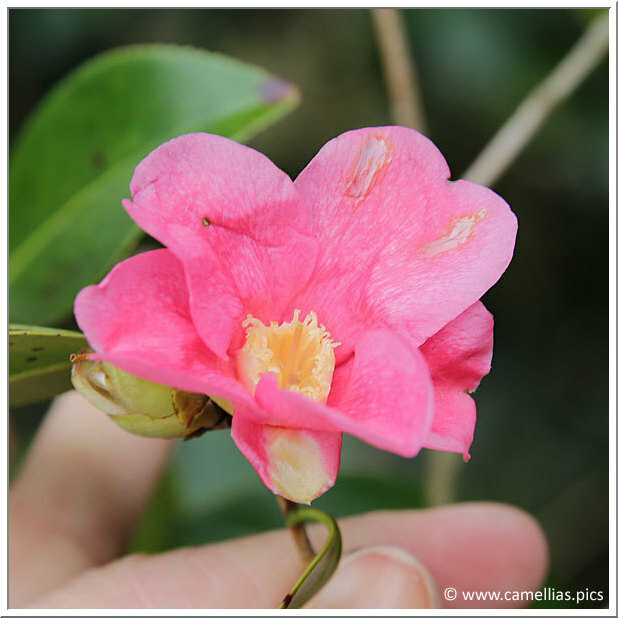 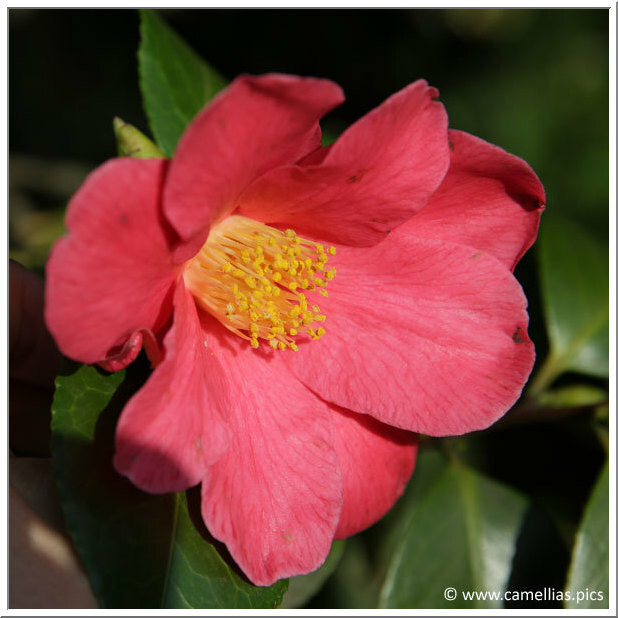 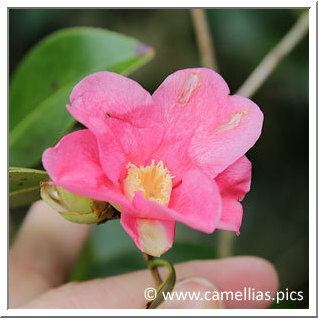 Here is the camellias sector, with a very diverse collection, in colors, shapes and species. 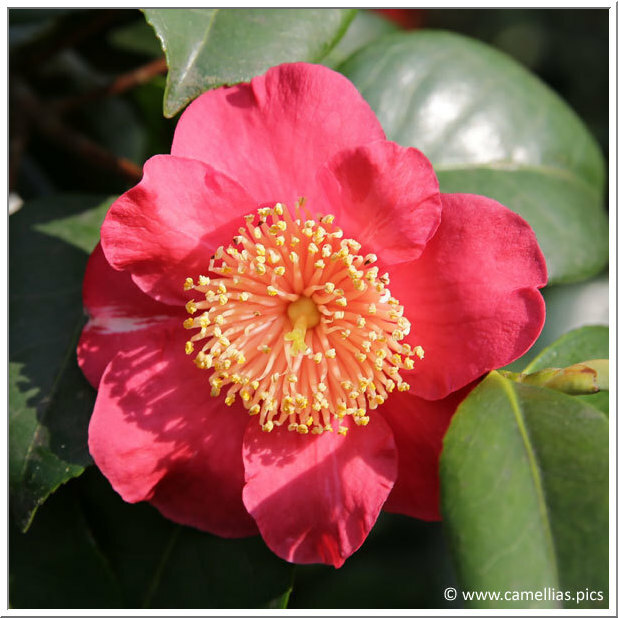 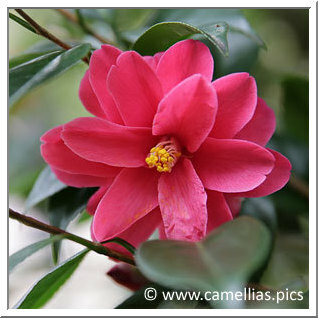 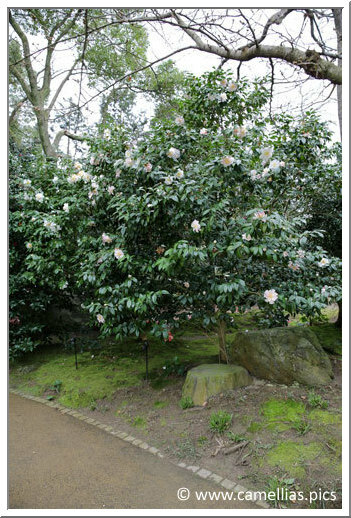 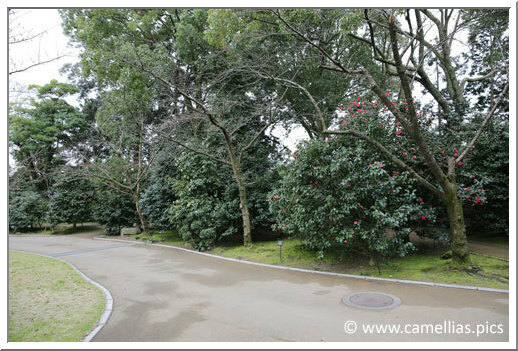 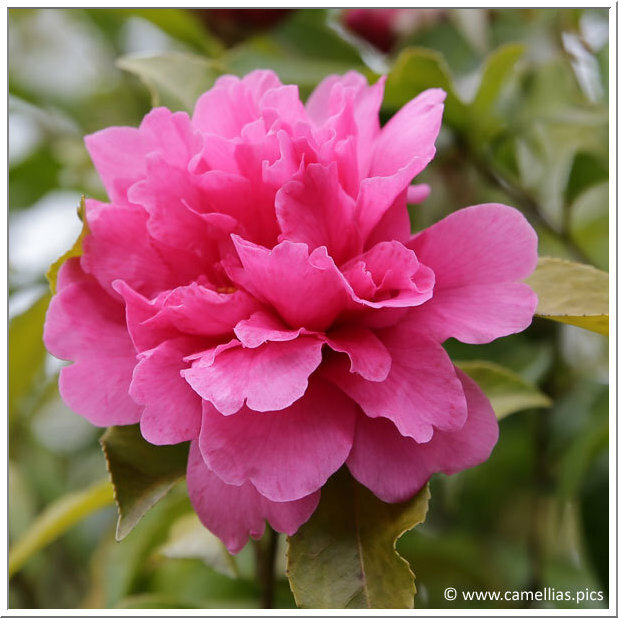 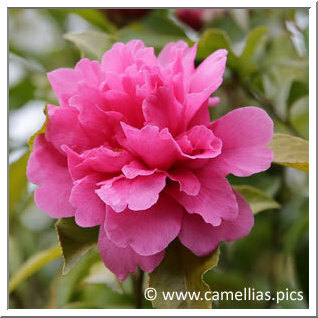 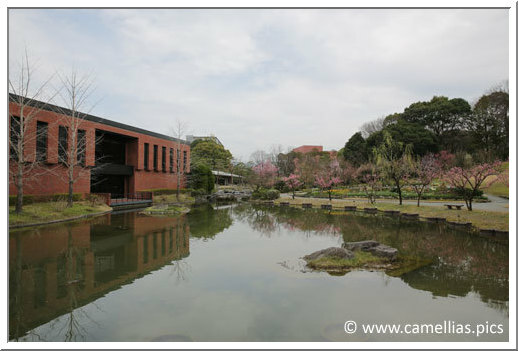 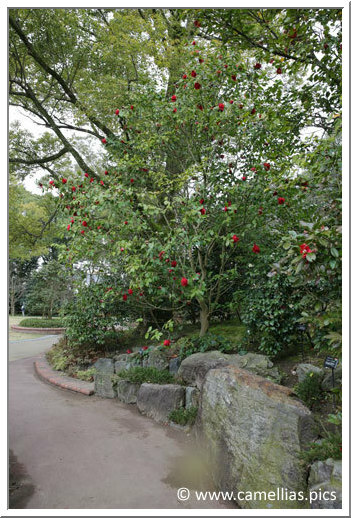 The camellias are named in Japanese and Latin characters. 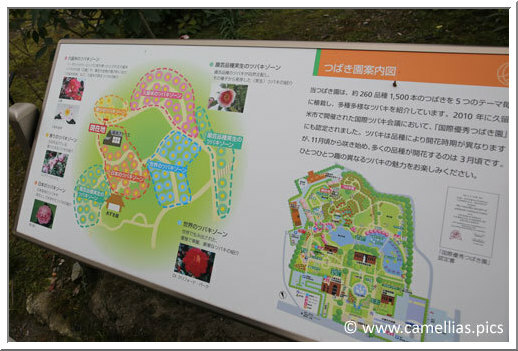 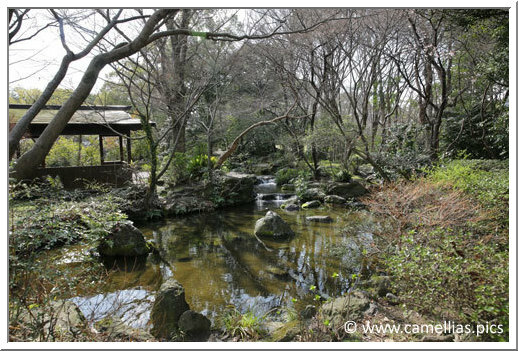 We visited the garden during the second half of March. 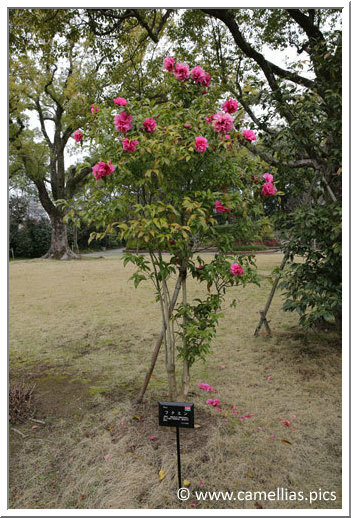 Originated Kurume. 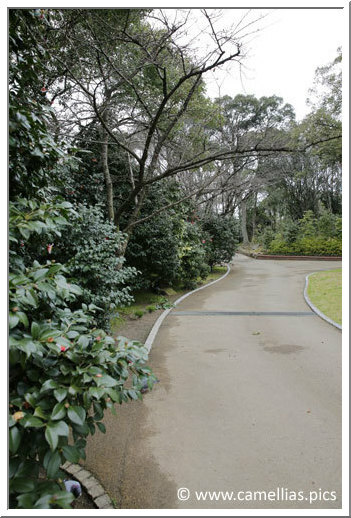 It wiil be present during all our visits. 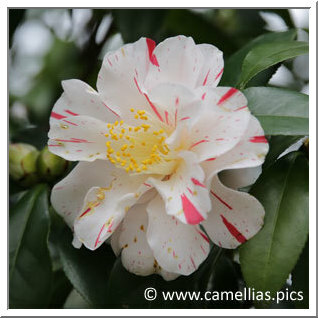 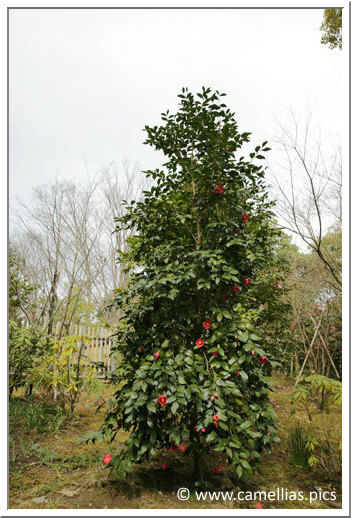 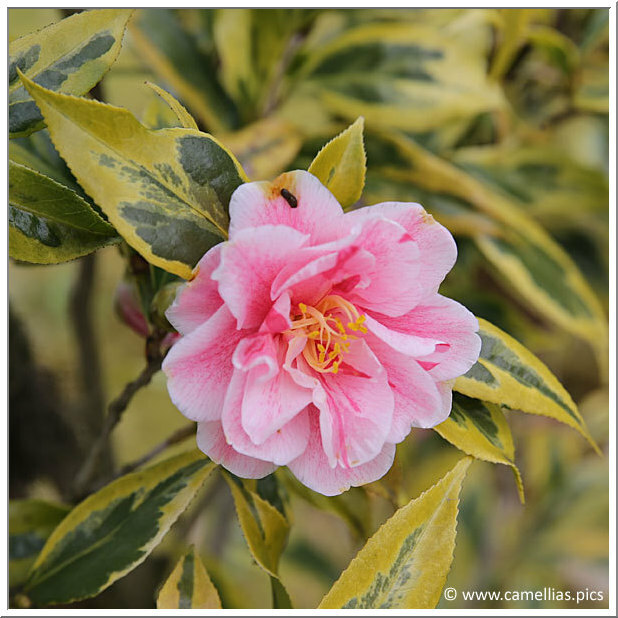 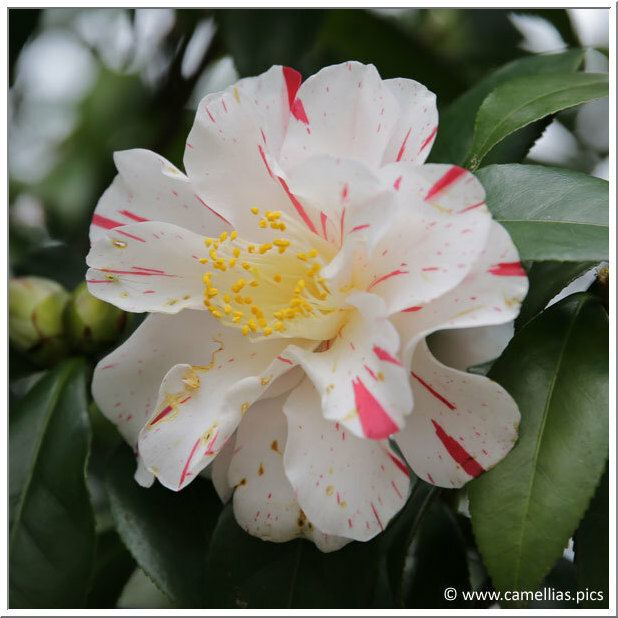 Below, 'Kanzaki-aka-wabisuke', a wabisuke camellia, ceremony flower in Japan and 'Nishikiba-fukurin-ikkyû', for its variegated foliage.